For me, dentistry began thanks to my little brother, an epic Nintendo game and a broken tooth. One evening back in 1993, I got so excited during a heated game of “Street Fighter” that I accidentally smacked my 7-year-old brother, Mo, on the back of the head. Mo flew face-first into the corner of a wooden table, and the table won. His tooth shattered, exposing a painful nerve. I offered Mo gifts for years if he would promise to never smile, just so our parents wouldn’t discover the tooth. Due to lack of money and know-how, our immigrant parents didn’t have access to a dentist. 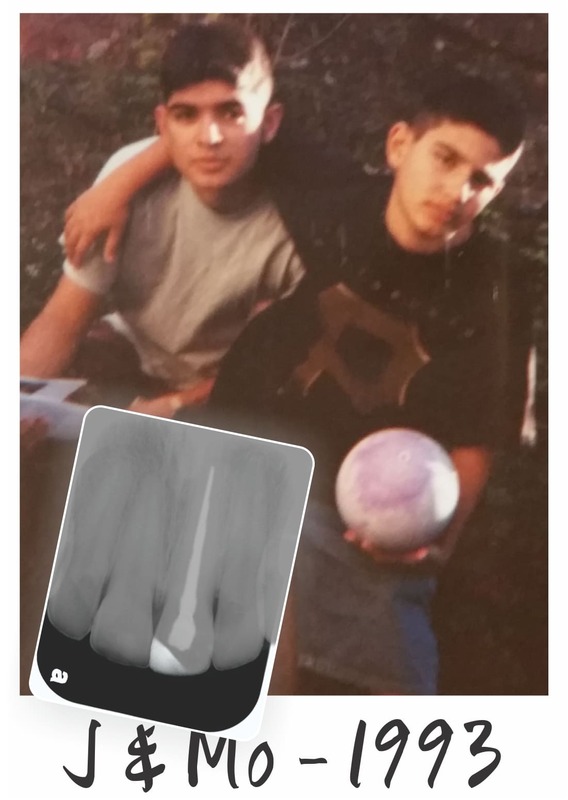 The tooth wasn’t fixed, and for years, I watched my brother hide his fractured smile. THE SILVER LINING IS THAT THE GUILT LED ME TO START THIS CLINIC. I wanted to see my brother – and others -- smile with confidence. That childhood moment gave me purpose through years of training. I wanted to master the craft and bring back Mo’s smile. Finally, when Mo and I were roommates at UCLA – he was an undergrad; I was in dental school there -- I got to fix his tooth. Today, he’s a computer engineer whose smile is big and bright. He designed the top notch technology in our office. He also joined some buddies at a little startup called Pinterest. Let’s say he’s doing just fine. OUR STORY MAKES SCRIPPS PEDIATRIC DENTISTRY MORE THAN A DENTAL OFFICE. IT'S A UNIQUE PLACE AIMED AT GIVING KIDS THE LIFE-CHANGING POWER OF A CONFIDENT SMILE. He had discovered a smile. A simple act - joy and confidence - that burned his soul with a sense of strength more powerful than fire. "WE SMILE NOT SIMPLY BECAUSE WE ARE HAPPY. WE ARE HAPPY BECAUSE WE SMILE." Simply, to be the recognized leader in Pediatric Dentistry in San Diego, through the cultivation of happiness for team, parents and patients. The mission of our team is to provide comprehensive and specialized oral healthcare for infants, children and adolescents in a safe, friendly, and technologically advanced environment. We are committed to the highest standards of care and ethics. We pay special attention to promoting education, prevention, and a healthy lifestyle for your children while treating them as we would our own. At Scripps Pediatric Dentistry, we believe that every child deserves a dental home. Comprehensive pediatric oral health requires not only good dentistry, but also trust, counseling, and community involvement. We encourage you to be a part of the process and welcome you to accompany your child during treatment and through every step of the way. We have designed our office to put you and your child at ease. We hope you find it as fun and relaxing a place as we do. Come see how our commitment to quality care makes us different.